Other than all the decorating, music, eggnog, and holiday spirit in general, one of the greatest parts of the holidays are all the sweet treats! They’re popping up everywhere and I want to make every single one of them! Good thing I’m pregnant, I really don’t feel all that guilty about it! 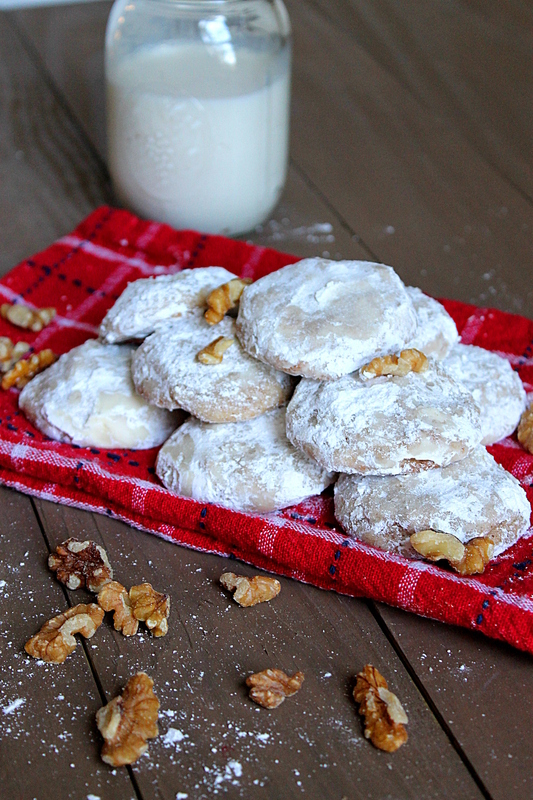 These Walnut Cinnamon Winter Cookies are wonderful! They’re like a soft, pillowy, cloud! 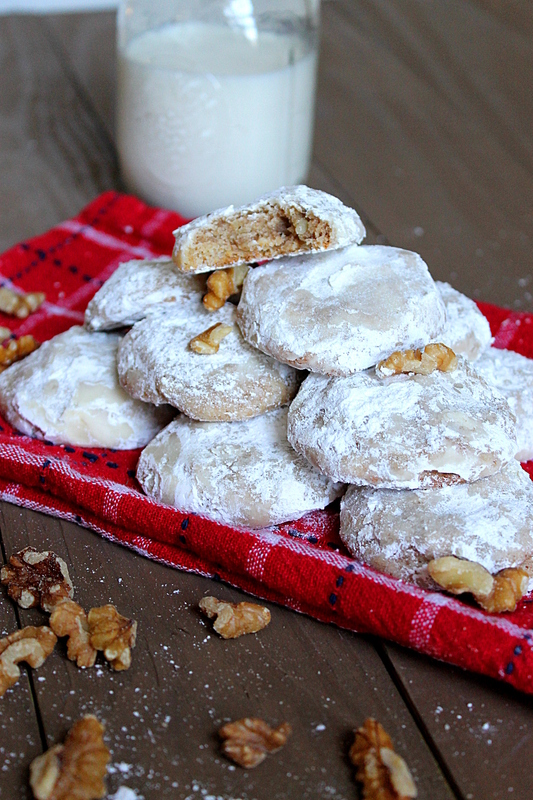 The Cinnamon combined with the slight crunch of walnuts, and the soft chewy cookie, covered in a cloud of powdered sugar, made for an amazing cookie. Don’t get these confused with snowballs, they aren’t crumbly, or balls. 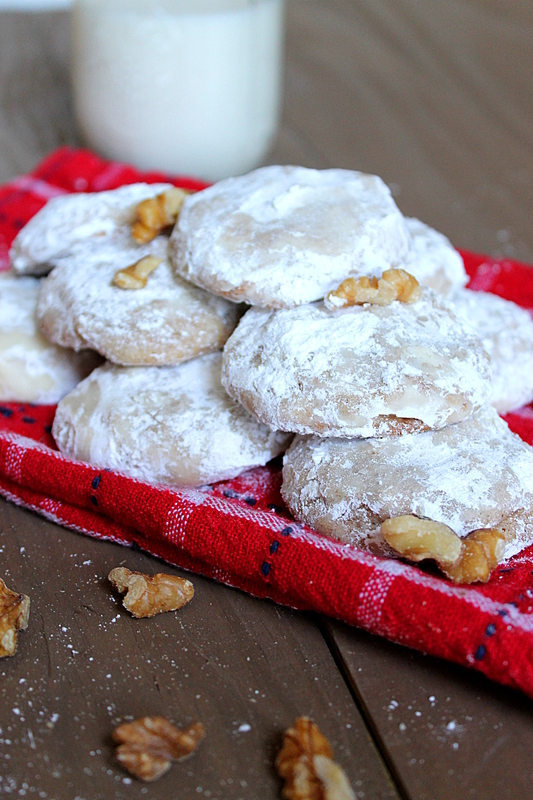 They are soft, cookie-esque and have incredible flavor & texture! 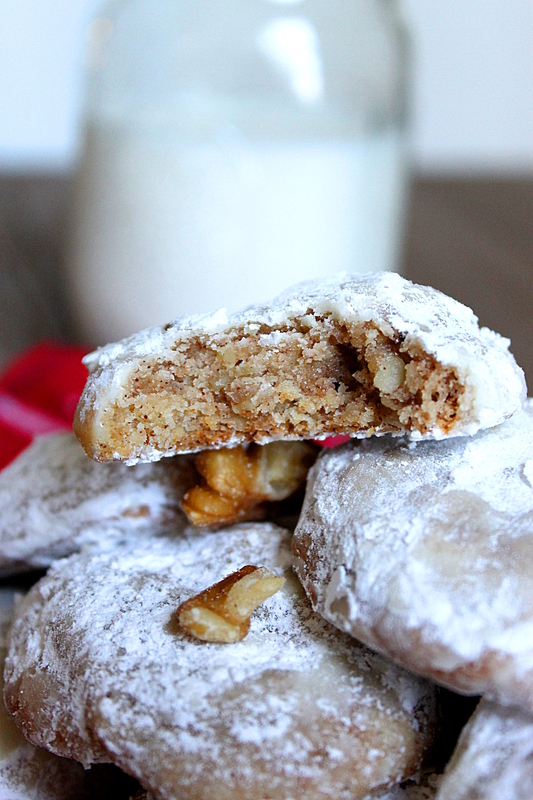 Please add these to your holiday baking list, they lasted in my house for two days. (That’s without sharing..oops!) A perfect cookie for the season! In the bowl of your stand mixer, fitted with the paddle attachment, cream together the butter and sugars. Sift in 2 cups of flour with the baking powder and salt. In the bowl of a food processor, add the walnuts, cinnamon, and 2 tablespoons flour. Pulse until the walnuts are well chopped, be careful not to let them turn to a paste. Add the walnut mixture to the cookie dough, stir to thoroughly combine. Line a baking sheet with parchment paper, and drop the dough in tablespoons on it. Bake for 8-10 minutes, allow to cool, and transfer to a cooling rack. 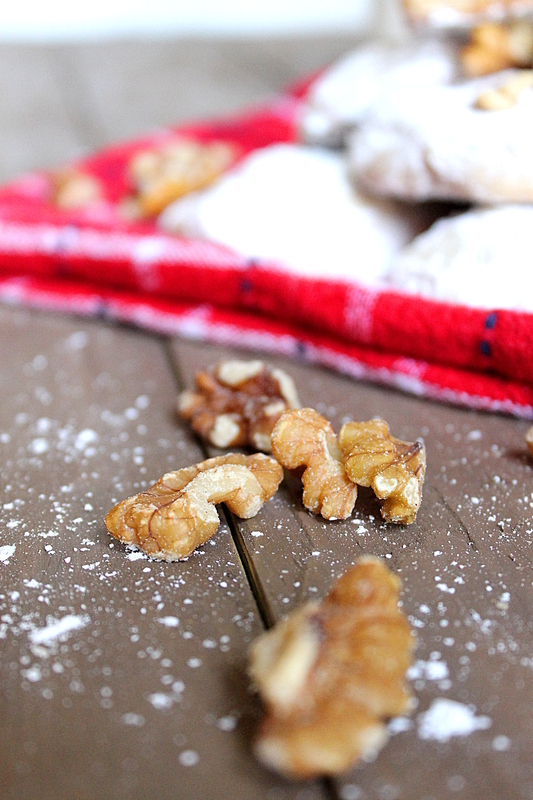 Pour the powdered sugar into a large zip-lock bag, toss in a few cookies at a time and carefully fully coat each one. Remove from the bag and serve!